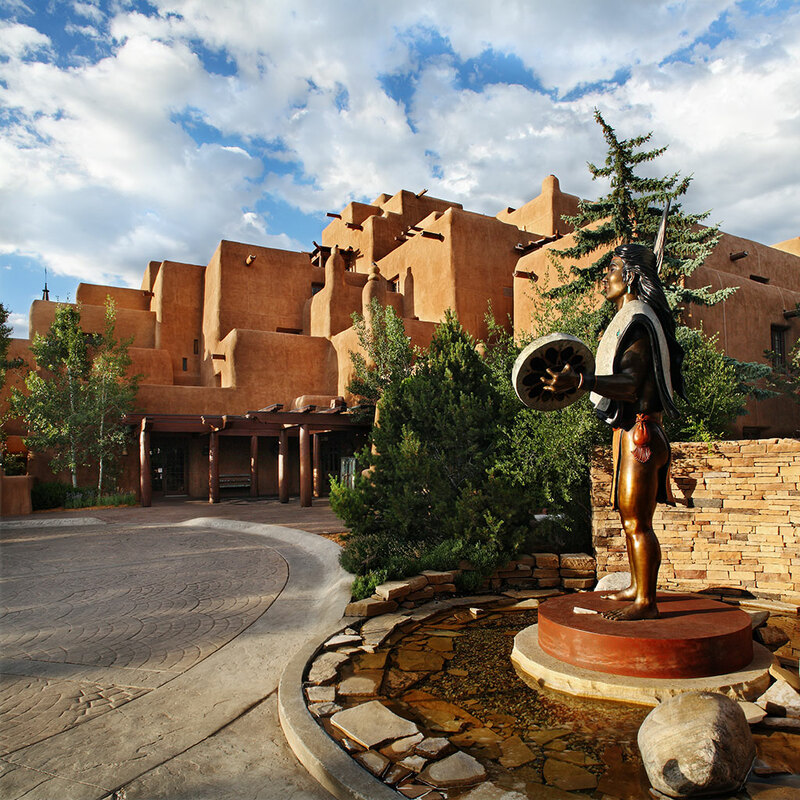 Santa Fe offers a broad range of accommodations from centrally located downtown hotels to ranch-style resorts and small boutique offerings. 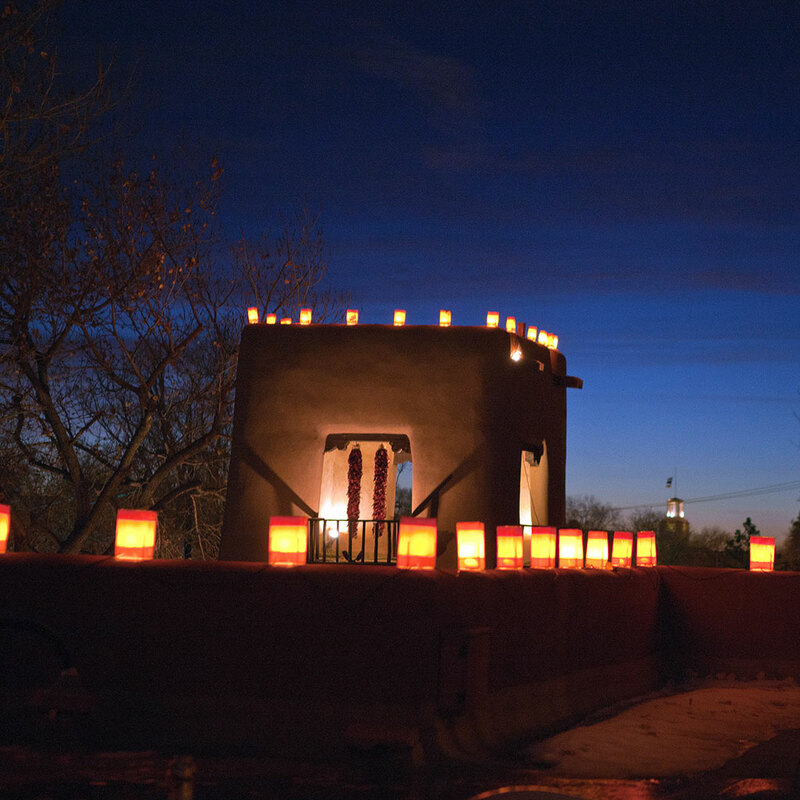 Here are some of the best places to rest your head in New Mexico’s bustling city. With sweeping mountain and dramatic high desert views, this once-privately owned ranch is a welcome haven of 65, earthy casita-style rooms. Set up a guided hike at the Adventure Center or unwind in the spa with local treatments like the Mountain Spirit Purification. Come evenings, sit around the fire pit with a sophisticated cocktail with dramatic mountain views as your backdrop. Bearing claim as Santa Fe’s oldest hotel, this minimalist space named after the patron saint is a mix of rooms outfitted in earthy tones, handmade wooden furniture and white Frette linens. In the evenings, the lobby basks in warm candlelight as you sneak into the onsite Secreto Bar for a margarita and green chili hummus. 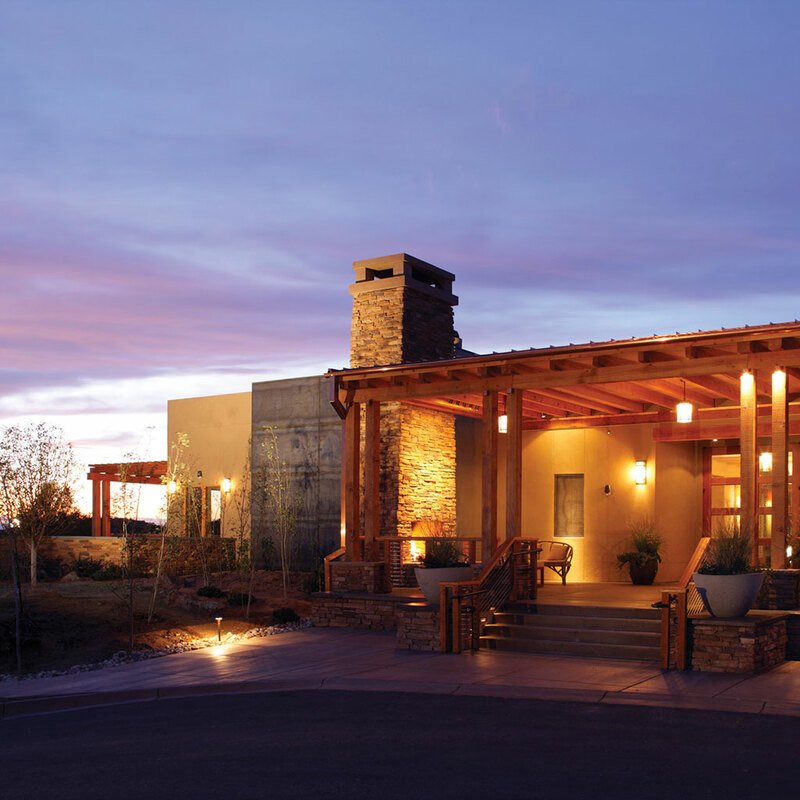 It’s true, the downtown centrality of Rosewood’s Inn at the Anasazi is hard to beat. The luxe boutique hotel’s intimate and chic 58 guestrooms feature classic Kiva fireplaces, beamed ceilings and local artwork. 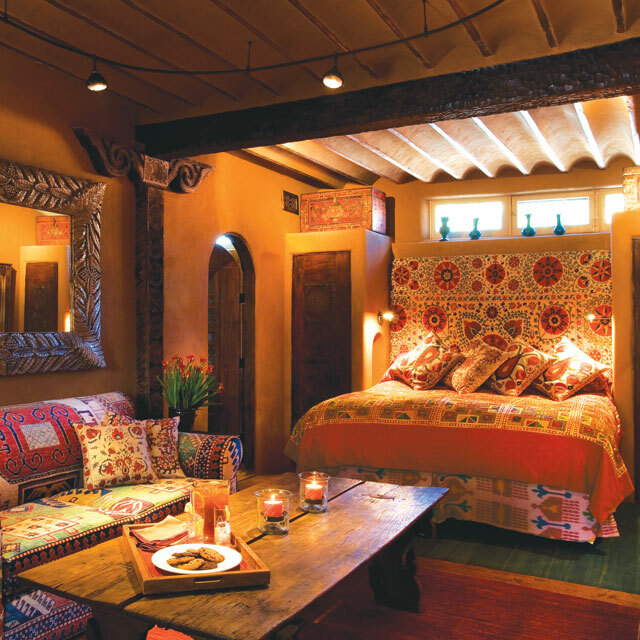 This Relais & Chateau property, housed in a string of adobe buildings, showcases 22-rooms dressed in classic Southwestern and old west design with wood-burning kiva fireplaces, hand-painted details and memorable local art. Thirsty? Adjacent to the hotel, slip into the 315 Restaurant for a glass of wine. 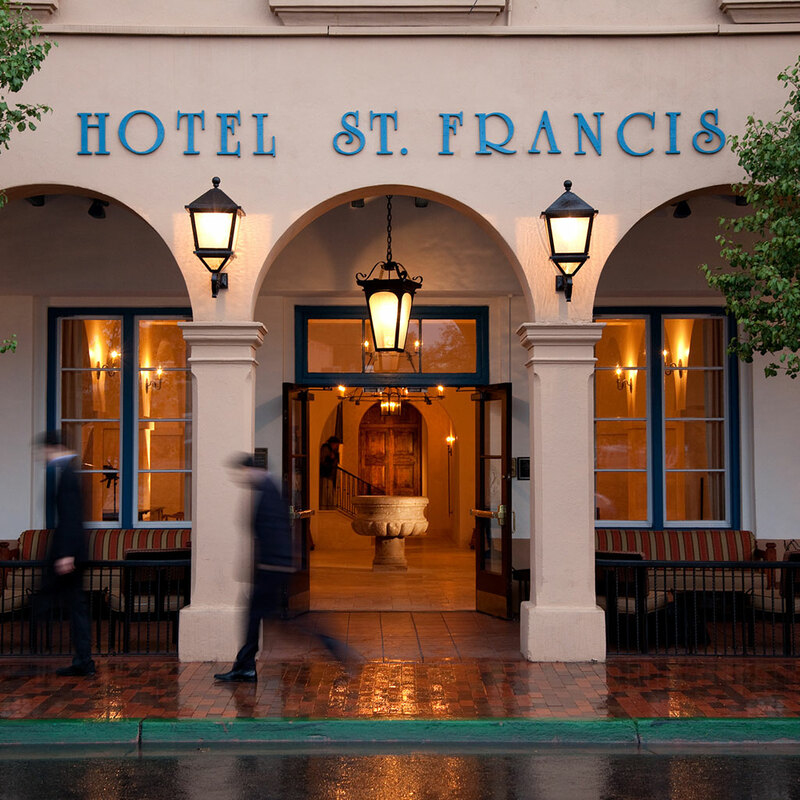 The legendary Santa Fe Trail ends at the iconic, historic La Fonda hotel. 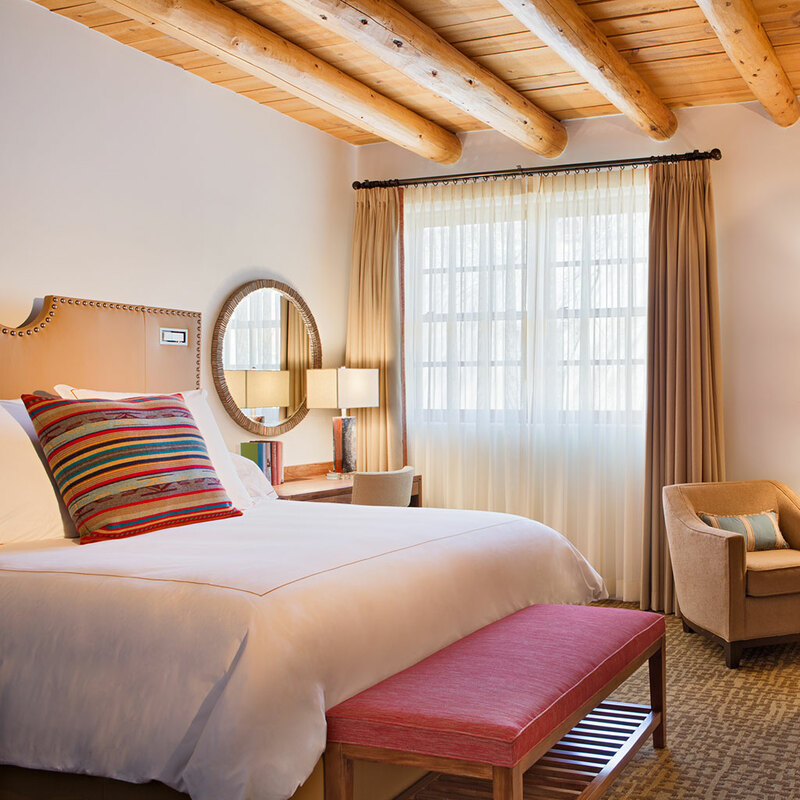 The rooms feature local furnishings, painted headboards, vibrant folk art and authentic textiles. At night, sneak upstairs to the inviting Bell Tower Bar for a margarita and watch the sun fade behind the mountains. Just steps from Canyon Road, the small, cozy Inn at the Alameda is arranged around peaceful courtyards. The 71 well-appointed rooms are dressed with Southwestern wood furniture, Native American textiles and larger rooms have fireplaces, small patios and balconies. 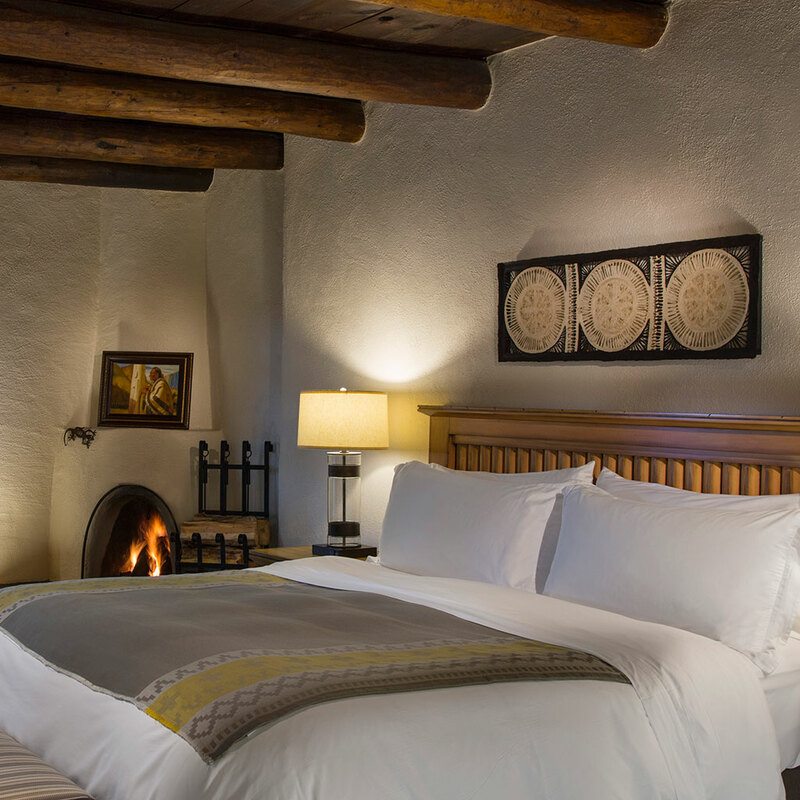 You can’t beat the location of this pueblo-inspired inn that unveils large rooms with dark wood, handcrafted furnishings and an onsite restaurant Luminaria (don’t skip the patio seating) of Southwestern fare. Float down to the intimate spa, an offering of both Southwestern treatments like a high altitude massage peppered in with Asian offerings. Once a private home in the late 18th century, this hotel continues the 300-plus year tradition of well-manicured grounds. 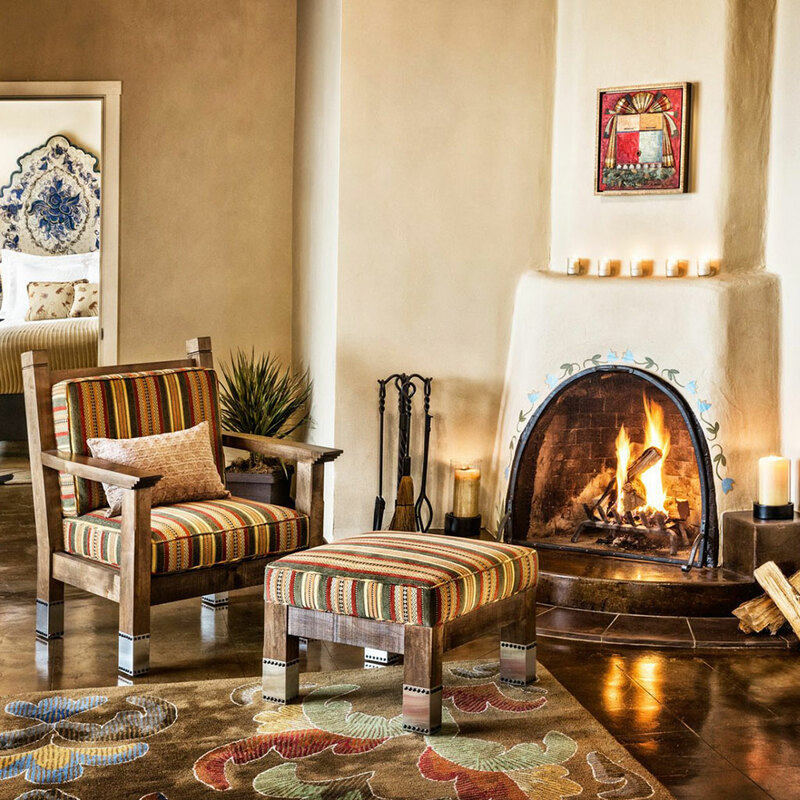 The light-filled, 157-rooms showcase adobe style architecture, kiva fireplaces and vibrant local art. A visit to the onsite spa uses local therapies to cure what ails.